My Bunny has been very quiet lately. She’ll be friendly when we get into her space and come over for a cuddle but none of her toys really interested her. She’s 7 so instead of panicking and calling her vet I watched her for a bit and noticed that she only moved when excited. Lettuce, getting treats in her maze ball or hay in a roll were the things that got her moving. It turned out that Bunny had entered a state of ennui! 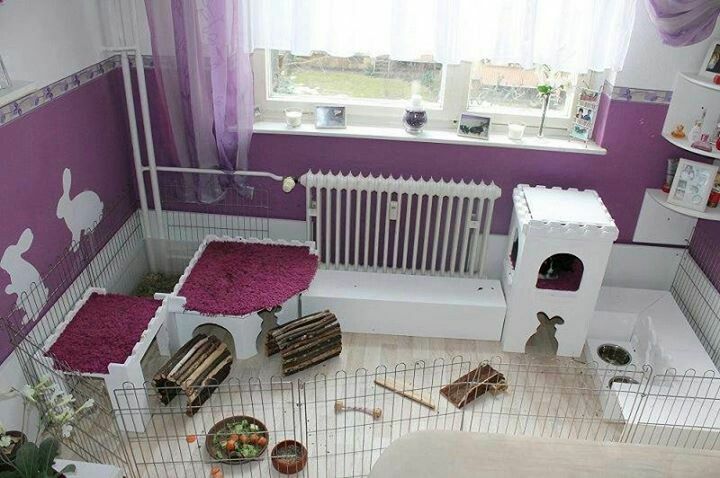 Well a google search turned up rabbit play areas, cat houses and a host of items I could purchase. The items I could make were often things I didn’t feel comfortable allowing her to play with unsupervised. I’ve purchased toys for her before but she generally ends up playing with the box. So I had an idea! I went to a vendor I work with and asked if they had any extra boxes that I could have. Three free boxes were immediately handed over. My plan was to make her a castle out of the cardboard.Like this one I found on Pinterest. I was all excited to cut it out and glue things. Really it was going to end up on Pinterest! Well I got the boxes into the door and put them in her room. Bunny was way too excited at the prospect of new toys for me to force her to wait. Instead, ML arranged them to create different play areas she could explore. So in spite of my grand dreams for her Bunny was in heaven. She even posed for another shot. So for $0 and almost no energy I’ve got a very happy Bunny! So far we’ve done 3 configurations in 2 days and she’s still enjoying herself. She’s begun tearing them, as we expected, so she may get to keep them until this weekend. Which is about the same amount of enjoyment she would have received if I had made it Pinterest perfect the first time or even purchased her a special set. Do you have any recommendations of toys for a pet who gets easily bored, will eat anything in her path (to her detriment) and likes to be mentally stimulated? I have never owned a bunny but I have good things about having them as pets. So, I will be watching for posts on her. My Golden doodle Ginny is my daily companion. Ginny is adorable! What a difference you’ve made in her life, and I’m sure she’s made in yours. She’s my girl!! I can’t imagine life without her. She is the perfect companion. I love this, she must be in heaven. She is! She’s loving the things that she can do with the boxes. Only one has stayed in place the rest she’s reconstructed to her heart’s content.